The slow development of difficulties with seeing clearly up close could be the start of presbyopia. This age-related eye disorder causes your vision to look blurry or unfocused while viewing objects or written words a short distance away. You can receive support from your eye doctor to keep this condition from rapidly progressing. Continue on to learn more about the causes and treatments for presbyopia. As you age, the clear lens directly behind your iris starts to lose its elasticity, which results in an inability to focus at short distances. Although presbyopia develops naturally at an advanced age, caring for your eyes with help from your optometrist can help you delay its development. Your risk factor for this condition increases at age 35 and beyond. The rate of vision loss from age-related farsightedness varies from person to person. Your optometrist will assess the condition of your eyes and suggest the correct level of presbyopia treatment for you. To answer, ‘How do you correct presbyopia,’ you just have to understand the power of corrective lenses. Both eyeglasses and contact lenses can correct presbyopia to restore your vision at close distances. A Lasik vision correction procedure may be able to correct presbyopia in certain cases. Your optometrist will help you determine if you are a candidate for this type of surgical treatment. You may want to try non-invasive options before committing to surgical treatment, as the costs and downtime may impact your regular activities. No matter which presbyopia treatment you choose, your eye doctor will provide follow up care services. 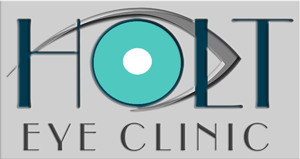 The follow-up appointment allows your eye doctor to assess your healing progress and ability to see clearly up close. Once you know exactly what presbyopia is, it might be time to come in for an eye exam and other care from your team at Holt Eye Clinic. To schedule a visit to our clinic, you simply need to call 501-624-0609 or 501-624-6330 and speak to our team. We will help you find the perfect time and date to come in for personalized eye care services.